-- Please Read The Artist FAQ First -- The 2019 Boston Arts Festival will take place Saturday Sept. 7th and Sunday Sept. 8th from 11 am to 6:00 pm. The fee to participate is $200, plus a $10 jury fee. Fill out the form completely and click on Submit ONE time only. All fields with an asterisk (*) are required. Please make sure you have cookies enabled for the site in case of a mistake (or your info will be lost and the form cleared.) Do Not click on the Submit button more than once; you will disrupt the form’s process and/or we will get multiple applications from you. Allow the form up to 2 minutes to process your data. If it was successful, you will see a screen afterwards stating that the info was received. You will NOT receive an automated email confirmation of your submission at this time, though we will have received your information. Please fill in all fields. Descriptions are below the corresponding boxes. Opt in to our Artist List to receive updates about the show such as setup info. 1) I understand that the artwork I bring must be made by me, and that I must be present throughout the show. -- 2) I agree to bring four 40 lb weights for my tent legs. -- 3) I agree I will not begin to break down my booth before the stated end of the event. -- 4) I agree I will completely break down my booth before I retrieve my car. -- NOTE: Artists that do not comply with the above rules and those as stated in the Artist's FAQ will be asked to leave, will forfeit their booth fee, and will not be allowed back. Yes, I understand and will comply with The Boston Arts Festival rules. Would you like to list links to your Social Media profiles? Select all that apply. PLEASE NOTE: The Jewelry Category is now Full. This also means that jewelry CANNOT comprise any of your booth if applying as another Medium. All other media categories are welcome to apply. Participation in prior years does not guarantee acceptance. Please describe the materials and techniques used in your work. What is the general price range of your art? Submit 3 photos that are typical of the body of work you would like to exhibit. Images must be in JPEG format (with file extension .jpg) to accompany your information on the Website. File size should be around 2MB or less in size. Please use the naming convention as requested below. File name should be in format of "FirstNameLastName1.jpg" -for example, if your name is Peter Piper, the file name should be PeterPiper1.jpg. 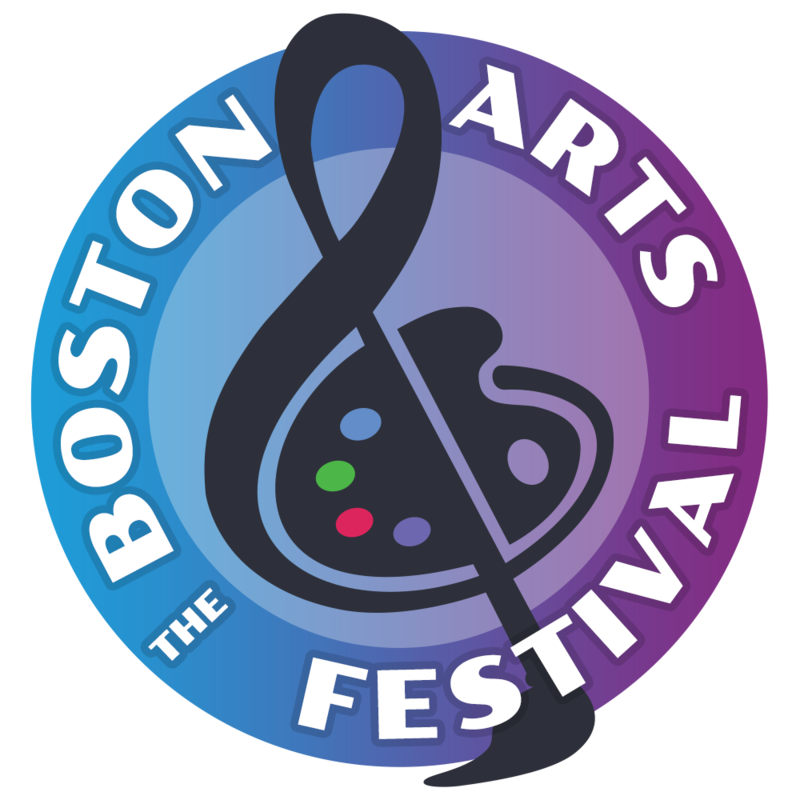 Have you participated in The Boston Arts Festival previously? White EZup tents and proper weights (four 40 pound weights) are required. NOTE: Plastic and vinyl side walls are prohibited in the Park per Boston Fire Department regulations. Flourish.com Mesh Panels are allowed and encouraged. Please send two checks, one for $10 which is the non-refundable Jury Fee, and one for the $200 Booth Fee, made out to: The Boston Arts Festival, P.O. Box 171080, Boston, MA 02117. The Booth Fee for accepted artists is non-refundable; the check will be shredded if you are not chosen to participate this year. There is a $10 non-refundable Application / Jury fee. Booth fee is non-refundable once Artist is accepted. If not accepted, checks will be shredded. REQUIRED: Your Own white, straight-legged (not slanted) 10ft x 10ft EZup Tent plus four 40 pound weights (one 40 pound weight for each tent leg). FYI - Tents marketed as sun shade, etc., are not sturdy enough for possible rain/wind at outdoor shows. By entering my name below and submitting this form to The Boston Arts Festival, I agree that I will hold harmless The Boston Arts Festival, The Boston Arts Festival Committee and its members, Christopher Columbus Park, The City of Boston, the Department of Parks & Recreation, and all of their representatives, volunteers, visitors, participants, heirs, and assigns from any and all claims, charges, actions, liabilities, and damages, that are incurred, suffered, or obtained by me or my representatives in connection with or related to the Boston Arts Festival (collectively "Claims"), and I hereby agree to waive and will not assert, pursue, or attempt to collect upon any Claims against any of the Boston Arts Festival parties.